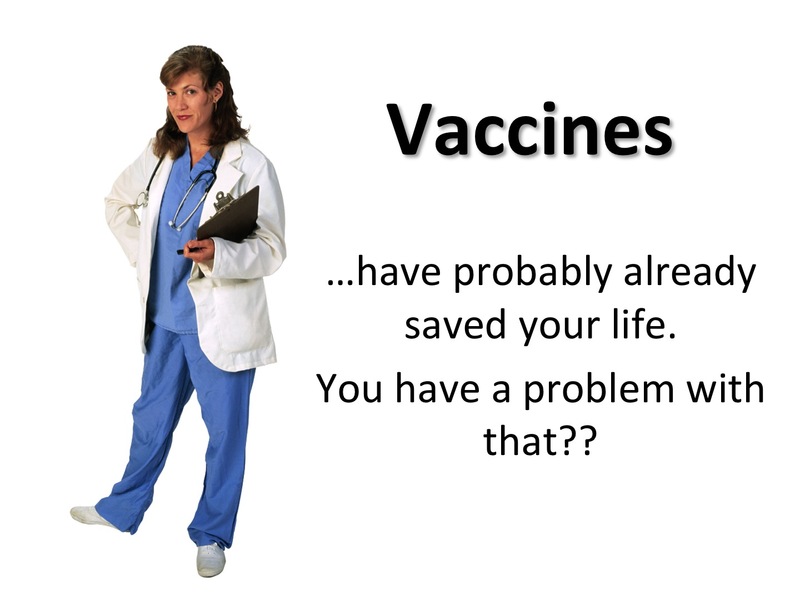 Despite a constant stream of scientific articles, blogs, and news reports that vaccines are not only safe and effective, but have saved millions of lives, there remains a stubborn block of about 5-10% of Americans who continue to refuse to vaccinate their children. Worse yet, there are clusters of areas, often wealthy and better educated, with much higher rates of vaccine denial–areas which can be ground zero of serious outbreaks or epidemics of vaccine preventable diseases. Textual information about the dangers of the diseases prevented by MMR from the Vaccine Information Statement. 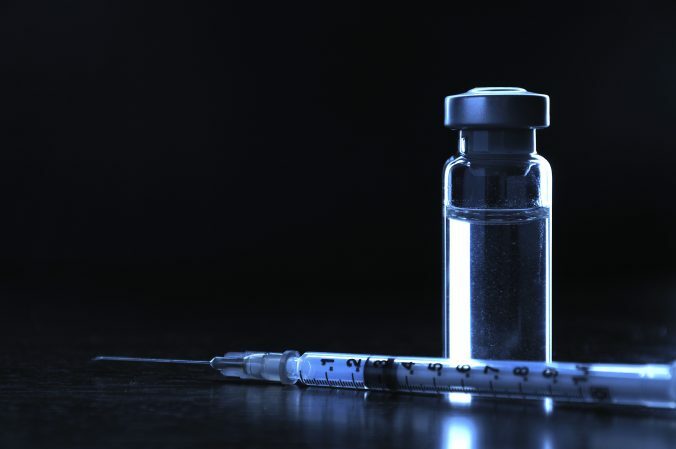 It listed the many risks of contracting the measles, the mumps, or rubella, describing the often deadly complications from these vaccine-preventable infections. Images of children who have diseases prevented by the MMR vaccine. This one told a “true story” about a 10-month-old whose temperature shot up to a deadly 106 degrees after he contracted measles from another child in a pediatrician’s waiting room. A dramatic narrative about an infant who almost died of measles from a Centers for Disease Control and Prevention fact sheet. It showed parents pictures of children afflicted with the diseases they could get without vaccination. Control group. They got nothing. In fact, the researchers found, that the stories, pictures and articles did not decrease the resistance of parents to vaccines. On the contrary, the parents seemed to strengthen their resolve against vaccines, because it appeared that they became more concerned about all health risks to their children. In other words, facts be damned, vaccines could still cause all of these problems, and it’s not worth the risk. Apparently, once parents learned that their beliefs in certain vaccine myths were debunked, they seemed to double down on their vaccine refusal. 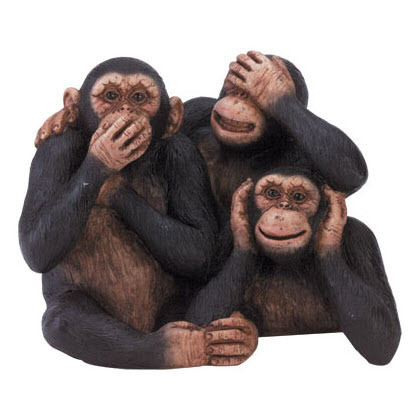 It’s almost an immature defensiveness to being shown to be wrong, so instead of saying “oops, I was wrong, I’ll get them vaccinated,” they seem to react as if, “sure I was wrong there, but obviously there’s something else and this proves it.” I mean it is natural for humans, once they’ve been shown to be wrong, to go on the attack. But we’re talking about children’s lives, not the quality of your favorite team’s quarterback. Even anti-vaccination advocates know that vaccines protect against disease. They found that 82% of the participants agreed that vaccines provide protection against infectious diseases. Even 47%, nearly half, of the most anti-vaccine responders agreed that vaccines protected against diseases. In other words, they are choosing not to immunize despite knowing that these vaccines protect them, not because they are ignorant of it. So, if this study is correct, we are wasting our time spreading the message that vaccines protect against disease–the antivaccination crowd knows this. Parents really do think that vaccines cause autism. It does appear that the message that vaccines do not cause autism has been lost on the antivaccination crowd, with 63% agreeing that vaccines cause autism. What was troubling is that 39% of pro-vaccine respondents said they were unsure about the relationship between vaccines and autism. Parents don’t trust the government or the pharmaceutical industry. Yes, this survey uncovered the ongoing trope that the WHO and CDC minimize vaccines risks, or that vaccines give huge doses of toxic stuff, ro that governments throughout the world are in the pocket of Big Pharma. Unsurprising, but the facts are I don’t know any vaccine blogger who actually is controlled by Big Pharma. Most people aren’t aware they need immunization boosters. I guess we need to keep informing people about boosters. I’m not sure that would make for interesting writing. Parents pay attention when not vaccinating is turned into an active choice. Apparently, we need to frame the discussion around an active choice. Like choosing to put a child in a car seat or safety belt while in a car. The argument should state that passively failing to vaccinate is actually a voluntary action that can harm a child. Apparently, this argument convinces up to two thirds of the respondents to the survey. Vaccinating is not a debate. It’s not a discussion. One side has science. One side lies, invents junk, and rejects real science. I’ll let others, who are much nicer than me, give out those hugs. Nyhan B, Reifler J, Richey S, Freed GL. Effective Messages in Vaccine Promotion: A Randomized Trial. Pediatrics 2014 March 03. DOI: 10.1542/peds.2013-2365.